The mountain sized asteroid 2004 BL 86 which just flew past our planet had its own moon too. The asteroid has evoked great interest among researchers as well as amateur sky watchers since it was the biggest asteroid of its kind to have flown so close to our planet. No other asteroid so large is likely to fly by Earth till 2027. 2004BL86, which goes round the sun every 1.84 years, was discovered 11 years ago by the Lincoln Near-Earth Asteroid Research, or LINEAR, telescope in New Mexico. The asteroid which was nearly a third of a mile in size safely brushed past us on Monday by a distance which was about three times that between Earth and the moon. It will be the closest asteroid 2004 BL86 will get to Earth for at least the next 200 years, according to Don Yeomans, the manager of NASA’s Near Earth Object Program Office at the Jet Propulsion Laboratory in Pasadena, California. The asteroid came closest to us on Monday- it was only about 745,000 miles from Earth- not too far considering the distances in space. This close brush gave the scientists a better chance to study the asteroid, research its composition and take radar-generated images of the giant rock. While Discovery News called it “mountain sized”, the LA Times called it “five football fields wide”. As the asteroid rotates through the 20 radar images, it appears to show some diversity in its landscape, according to reports. 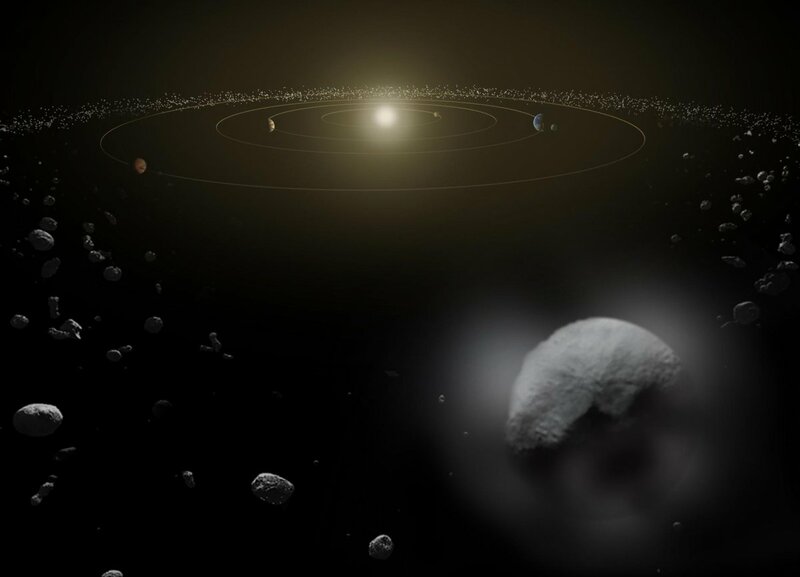 NASA has estimated that 16 percent of asteroids over 200 meters in diameter are a binary or have orbiting moons, so the data gathered from this encounter will better constrain this estimate and give us an insight to the binary nature of near-Earth asteroids. At present, the NASA tracks more than 11,000 asteroids which could come close to us. A much smaller asteroid than this had exploded over Chelyabinsk in Russia two years ago, injuring more than 1,500 people due to flying debris and glass.